The company is a major producer as well as Exporter of Sorghum Sudan Grass Seeds. The DESERT GOLD brand Sorghum Sudan Grass Seeds, offered by the company, are known for their quality as well as cost-effective prices. The company offers the very best Sorghum Sudan Grass Seeds at the best prices on a timely basis. We are an eminent entity in the industry, engaged in manufacturing and supplying a splendid range of Sorghum Sudangrass Seed. Carolina Sorghum X Sudan Grass seed grow very nutritious and healthy feed for Herds. Its nutritious feeding generates more Milk in animals, increases fat in milk and also keeps animals healthy and happy. Maximum growth of Sorghum X Sudangrass Carolina X-018 occurs with ample moisture, but it is also a drought-tolerant crop. It can grow under harsher conditions and can grow in arid soils. With a motive to stand high on all the desires of our customers, we are readily betrothed in the business of offering to our customers a distinctive consignment of Sudan Grass Seed. Highly recommended owing to their freshness, these are enormously cherished. More to this, our ability to deliver these seeds safely makes these a popular market choice. We provide superior quality Sorghum Sudan Grass Seeds in the market. Our Hybrid Sorghum Sudan Grass Seeds are processed under the guidance of the experts at our processing plant. 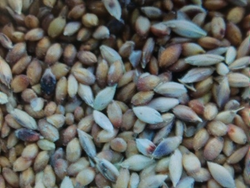 The seeds are capable of high quantity of crop production. In addition, we are one of the trustworthy Sorghum Sudan Seeds Exporters form India. 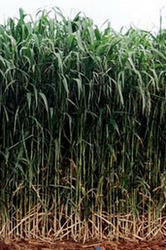 We have an eminent name for offering a vast array of Hybrid Sorghum Sudan Grass Seeds. This product is manufactured using only quality tested materials. Being a noteworthy enterprise of this industry, we are offering a wide spectrum of Hybrid Sorghum Sudan Grass Seed.